Toronto super-group Collective Order recently released their third album entitled Volume Three. With Volume Three, the band has created a collection of compositions inspired by individual band members’ cultural backgrounds and personal experiences. Toronto is a collection of incredibly diverse and culturally rich communities, and in this collaborative project, the band aims to eliminate imaginary boundaries and establish new musical traditions. In keeping with the collaborative nature of Collective Order, the opening title is a composition written to accompany a traditional land acknowledgement by Indigenous artist Melanie Montour. 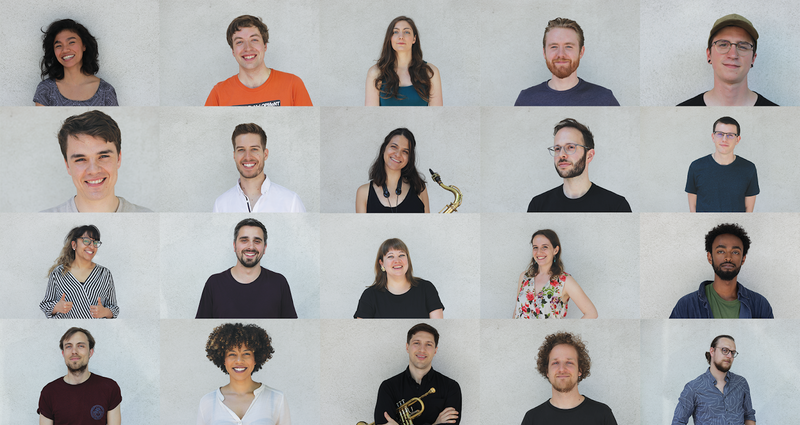 Collective Order is a collaborative recording project featuring 21 jazz musicians based in Toronto. Since forming in 2015, the band has released one album of jazz standards and two albums consisting of all-original compositions. Now releasing their third album, the band has undoubtedly developed a distinct aesthetic centred around a shared creative process. The idea of collaboration is fully explored in the music of Collective Order. Each piece is written by a different member of the band, who then curates the personnel for the recording of their piece. As a result, the sound of their albums covers a wide array of arrangements and textures. Jazz FM host John Devonish has said of Collective Order, “In times when concepts of community are screaming out for serious revisiting along comes a uniquely sensitive album project." 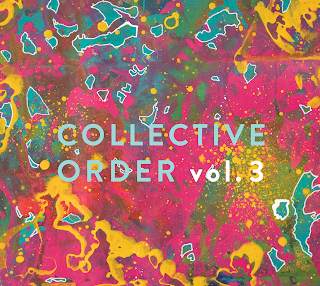 Marty's review: The 21 musicians of Collective Order have once again come together to pool their multiple talents and produce an album that is diverse in not only the style of music played but also in their own individual compositions. They take the essence of contemporary jazz and expand it in several directions to present a 14 track sublime symphony that is eclectic yet accessible and transports the listener to a place of their own choosing. Call it a soundtrack to your life if you may and match each track to a moment in your past or present. For his sophomore feature-length album, accomplished singer and composer/lyricist Steven Taetz presents a new sound: a cocktail of vintage- pop, jazz, and swing, backed by a sure shot band made up of several of Canada’s top jazz musicians. The album presents six new compositions - sure to become popular with singers everywhere - plus a few re-imagined classics. 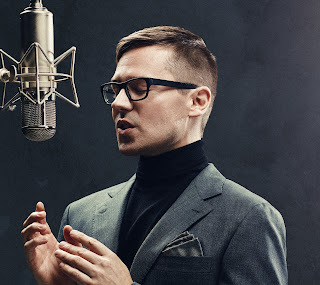 The Alberta-born, Toronto-based Taetz was raised on Ella Fitzgerald, Frank Sinatra, and classic standards. He was trained classically, and at an early age he travelled throughout North America with ensemble Into the Light from Burman University performing Adult Contemporary, jazz, and classical material at festivals and venues such as Disneyland, Honolulu Cathedral, Toronto’s Rogers Centre, and Carnegie Hall. 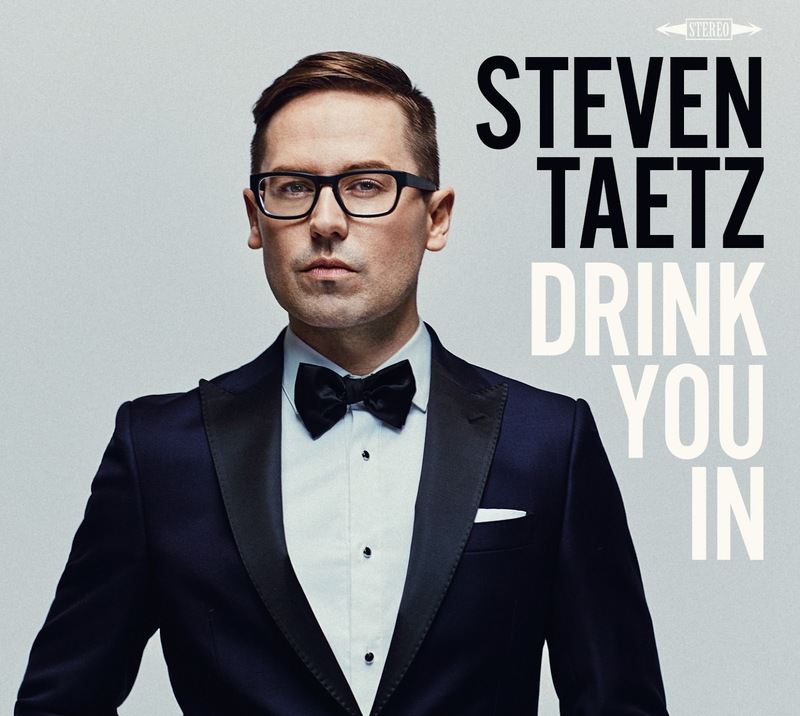 Steven Taetz Drink You in contains material co-written with award-winning artists including JUNO-winner Sonia Johnson (Vocal Album of the Year), JUNO-nominee Barbra Lica, Tia Brazda, and producer Drew Jurecka. Along with duets featuring Johnson and Brazda, it includes performances by noted artists such as Kevin Turcotte, John Macleod, Ernesto Cervini, Nathan Hiltz, and many others. The album is distributed by Flatcar Records/Fontana North. Steven is proud to follow in the tradition of legendary LGBT leaders in jazz, including Billie Strayhorn, Ma Rainey, Fred Hersch, and Gary Burton. Marty's review: this most beautifully produced release highlights the multiple talents of Steven Taetz by taking jazz vocal classics and reworking them in a style that is fresh and intoxicating. This formula is also adapted for his own compositions that blend right in and make this an entertaining and lush set of tunes. Most notable as his duets with vocalists Sonia Johnson and Tia Brazda. If you like a good dose of vintage pop/swing/jazz this will guarantee you a good time. The band features saxophonist Evan Shay with Aime Duquet on guitar, Antoine Pelegrin on electric bass and Kyle Hutchins on drums. Internal Combustion was recorded, mixed, and mastered in Montreal. The resulting journey weaves together the somber and the rough. The band’s signature sound is on full display with searing sax, fierce guitar, guttural bass, and propulsive drums. Their raucous blend of musical brutality, heavy emotion, and forward momentum is perfect for this moment in time. 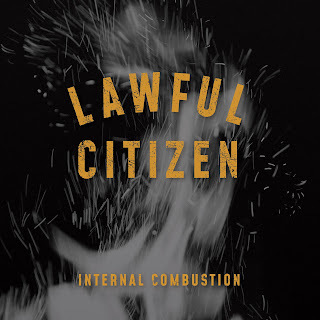 Marty's review: Lawful Citizen's debut album is multi-genre mix that is powerful and intoxicating and delves the listener into a progressive jazz experience filled with thunderous and unpredictable instrumentation that is mesmerizing, ambitious and at times poignant. I applaud these four talented musicians for stepping outside the boundaries of contemporary jazz and allowing their eclectic visions to create music that is unique and exceptional. Renowned jazz musician Patrick Boyle recently released his new album After Forgetting. 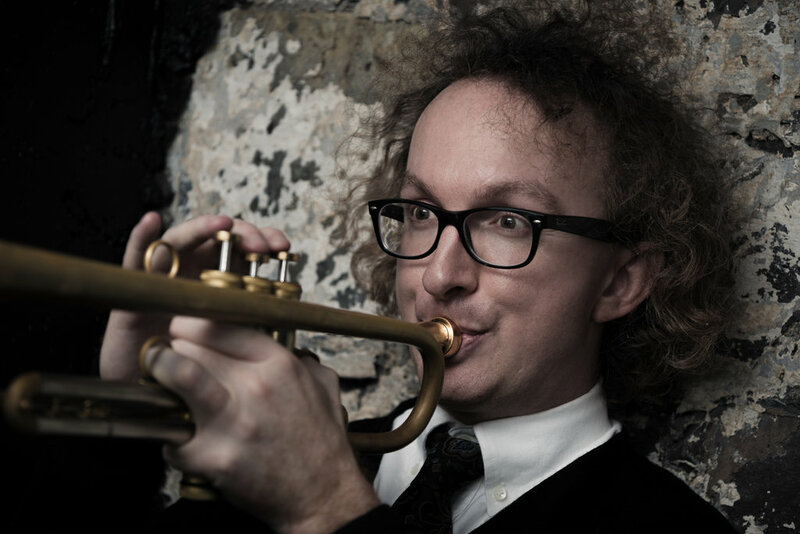 Boyle is known for his outstanding prowess as a trumpet player. A provocative and prolific composer, his performances are filled with jazz enthusiasts and music lovers who are lured into the purity and creativity of his playing. After Forgetting, Patrick Boyle’s fourth solo album, showcases his uncanny sense of the moment and exquisite understanding of melody. Together with Patrick on the album are Bill Brennan (piano), Mike Downes (bass) and Mike Billard (drums); the album is produced by Glen Tilley. Previous solo albums include Rock Music with Curtis Andrews (2010); Still No Word (2008 ECMA Nominee); Hold Out (2005 ECMA Nominee). Artist Bruce Alcock designed the artwork, using a photo taken by Boyle of a shed in his father’s family home in Ireland. The album features original compositions alongside tunes by Bob Dylan, William Walton, and Michel Legrand. The album is now available on vinyl, digital download, and CD. Hailing from Mount Pearl, Newfoundland, Boyle is a fearless sonic explorer. His frontiers are in performance (trumpet and guitar), improvisation, composition and education. He holds a Doctorate of Musical Arts from the University of Toronto, a M.A. in Ethnomusicology from York University and a Bachelor’s Degree in performance from Memorial University. Dr. Patrick Boyle is currently an Associate Professor of Jazz Studies at the University of Victoria. He appears on over fifty commercial releases and four acclaimed solo albums. In 2009, he performed at Carnegie Hall with tabla virtuoso Zakir Hussain. Boyle has cultivated the rare ability to synthesize a range of influences – including jazz, rock, traditional, Balkan, and South Indian music – which all come together into a rhythmically compelling musical voice. A composer for theatre, film and the concert stage, Boyle scored the recent Artistic Fraud production of Colony of Unrequited Dreams at the National Arts Centre. Marty's review: Patrick Boyle's new release is an exploration of jazz in its many forms. Combining flawless trumpet licks with emotional and classic accompaniment on piano, double bass and drums, the compositions blend together to create a contemporary jazz soundscape that is tender and textured that take the listener on a sublime and stylistic journey. 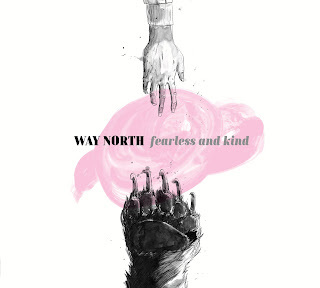 Cross-border collective Way North second album release Fearless and Kind....jazz you can dance to! Way North is a cross-border mash-up of Canadian and American artists born out of the joy of playing together. Formed in Brooklyn in 2014 by three Canadians and a New Yorker, the band features saxophonist Petr Cancura (Down Home - JUNO nominee), trumpeter Rebecca Hennessy (2018 Toronto Emerging Jazz Artist/Women’s Blues Revue bandleader), bassist Michael Herring (Peripheral Vision - JUNO nominee) and American drummer Richie Barshay (Herbie Hancock/Chick Corea/ Esperanza Spalding). 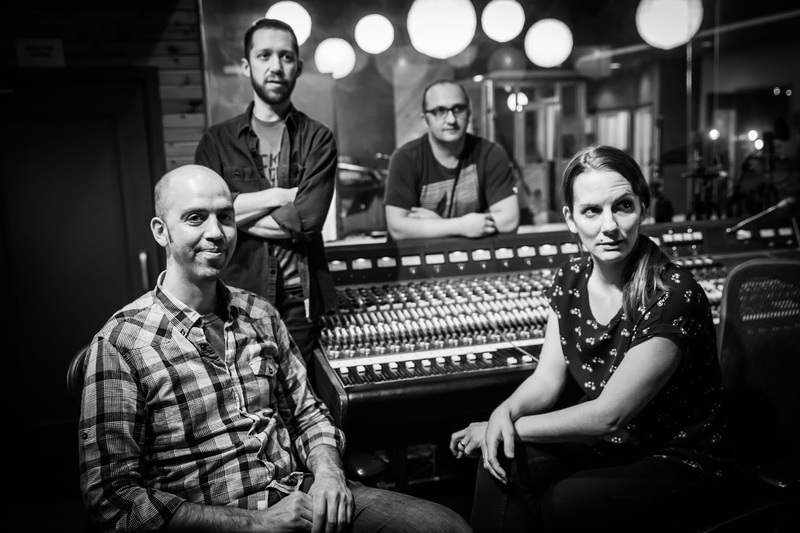 Following up on their critically acclaimed first album Kings County, their new album Fearless and Kind finds the band serving up a similar roots stew, even more heavily weighted toward street-beats and dance rhythms. The front line's collective improvising and conversational rhythmic approach brings to mind both modern jazz and roots music, two styles that have more in common than one might think. Recorded on the heels of a tour, the band's sound is clearly defined: the music feels comfortable and loose, its character distinctive and warm. That they love playing together is obvious, and this feeling is contagious, drawing listeners in close. There is music from all four band members here, but it would be hard to tell, as the songs go seamlessly together. Cancura’s Mississippi-Beat “Boll Weevil” opens the album and announces the good times that are ahead. You can also hear his tender waltz “Ready or Not” and “The River’s Flow”. Hennessy’s “Lagoon” is next, and the rhythm section generates a lazy-cowboy lope which the horns ride on top of with the quirky harmonies. She also contributes the Ornette Coleman inspired calypso “Birds for Free” and the ballad “Inchworms”. Barshay’s “Airport to Knowhere” cooks with a Balkan-jazz groove, and he brought the Jelly Rolly Morton medley to the band, which fittingly connects the band’s modern sound with the early New Orleans roots of jazz. Herring’s title track “Fearless and Kind” is a bluesy waltz, and he also wrote the street-beat meets Jazz Messengers “You Know A Song”. This is a community minded band, and they are looking to lift people up with this music: this is jazz you can dance to! Marty's review: This second release by Way North finds them in an upbeat and creative mood by sourcing music from several genres and creating and 11-track musical smörgåsbord that enlightens, excites and invigorates. Whatever form of music you may listen to, you will appreciate what is going on here with the way this collective have taken their talented musical leanings and formed a global soundscape of compositions that are surprising and at times unpredictable. 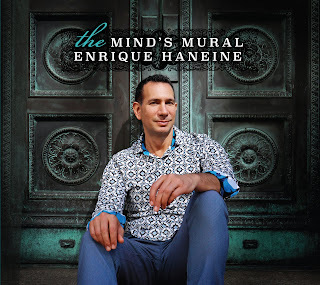 Enrique Haneine is a jazz-world musician, composer, pianist, drummer, improviser, and educator that is currently living in New York City and was born in Mexico City from Lebanese descent. Enrique Haneine has won international jazz competitions and received multiple music awards, his reputation as a brilliant artist and talented arranger are well earned, his repertoire has evolved and matured into the realm of free jazz, standards and Latin jazz forays. Ranging from his past role as music director for Ricky Martin and for numerous productions, and performances, he has collaborated with some of the greatest jazz musicians. A winner of the Jane Jarvis Jazz Competition, voted All About Jazz New York’s Best of 2005 Albums of the Year, Grammy Nominated for his performance on the Best Latin Jazz Album 2013 are only a few of the accomplishments Haneine enjoys. His last recording entitled INSTANTS OF TIME was released in January of 2016 successfully reaching its own innovative character and sound garnering fantastic reviews and making it to the top of the jazz charts - #3 CMJ - with thirteen original compositions. 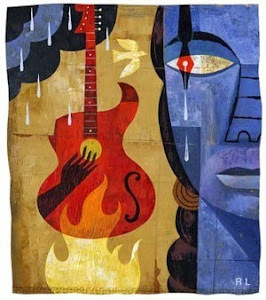 His most recent recording entitled THE MIND’S MURAL includes eleven original compositions exploring the forces and influences that direct the mind to interpret and react, like images composing a mural of perception. 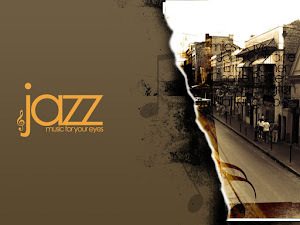 Maintaining the jazz, Latin and middle eastern influence, the use of innovative rhythms in odd meter contexts and driving intervallic yet lyrical melodies, the free jazz conversation is achieved in a high caliber, sensitive linear setting. Marty's review: The latest release by this multi-talented and equally acclaimed musician is a journey into the realms of free-form jazz with elements of world and classical in the mix. Assembling a stellar cast of musical associates, Enrique Haneine has created a highly fluid and finely calibrated set of compositions that blend together in a jazz-scape of sound that is fresh and emotionally rich. The combined creativeness of Anna Webber on tenor saxophone, Catherine Sikora on tenor & soprano saxophones, Carlo de Rosa on acoustic bass and Enrique Haneine on drums, cymbals & udu drum is visionary, unique and skillful, resulting in a sculptural form of jazz that is exhilarating and sophisticated.